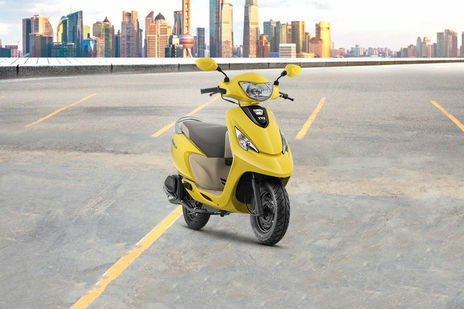 Hero Pleasure vs TVS Scooty Zest: TVS Scooty Zest 110 Matte Series is the more fuel efficient one with a claimed mileage of while the claimed figure for Hero Pleasure Self Start is . Hero Pleasure is priced at Rs 45100 (On road, Delhi) while TVS Scooty Zest is the costlier one priced at Rs 50486 (On road, Delhi). Pleasure is available in 7 colour options while Scooty Zest has 5 colours to choose from. 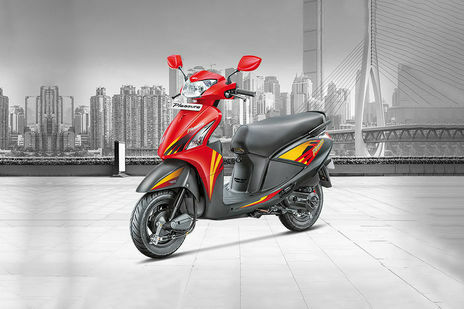 Q. I want to buy Scooty Zest 110 Matte Red color for my daughter. She is working in SMBT medical college Dhamangaon. Is it possible to deliver to her will all documents ready. Please let me know so that I can make payment online. A. It can be possible but for this, you have to talk to your dealership if they are providing such services or not otherwise we suggest you to send all the documents by using courier services and send the vehicle by using Indian railways. Q. What is the Down payment?